Butternut Squash is one of my favourite fall/winter vegetables. Served sweet or savoury, it never disappoints, plus it’s a nutritional powerhouse! Here’s a sweet and savoury soup that will delight your tastebuds. Peel and chop butternut squash, drizzle with coconut oil and roast for 45 minutes. Melt coconut oil in saucepan. Add onions, carrots and celery. Cook until tender, about 5-10 minutes. Sprinkle curry powder over vegetables and cook for 3 minutes. 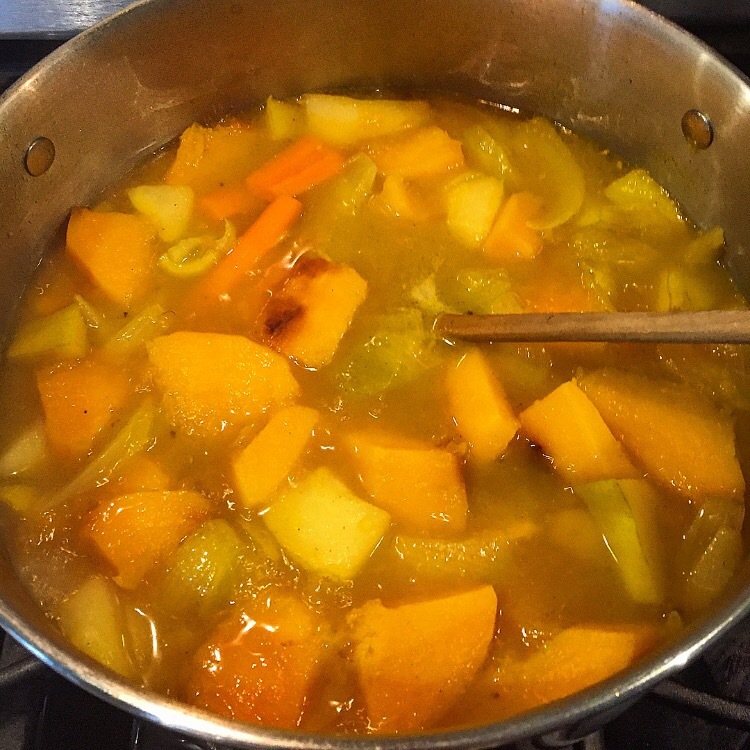 Add ginger, broth, apple juice, pears and roasted squash. Bring to a boil, reduce heat to med-low, cover and simmer for 30-45 minutes. Let it cool slightly and purée.